Hello everyone! I’m Jess from Everyday Party Magazine, if you follow my blog, you may have seen my recent mermaid party. 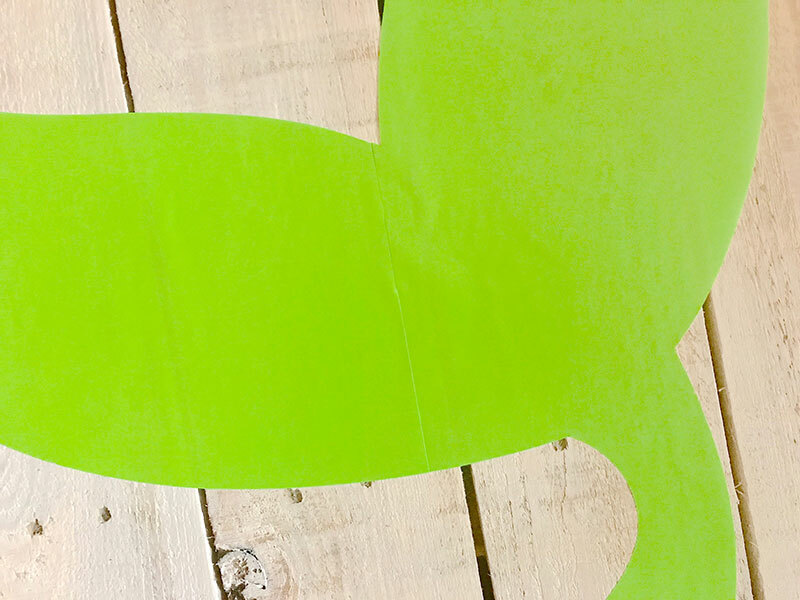 My sweet little niece is obsessed with all things mermaid, and I wanted to spend some special quality time with her, so I turned our party space into a mermaid grotto just for her! 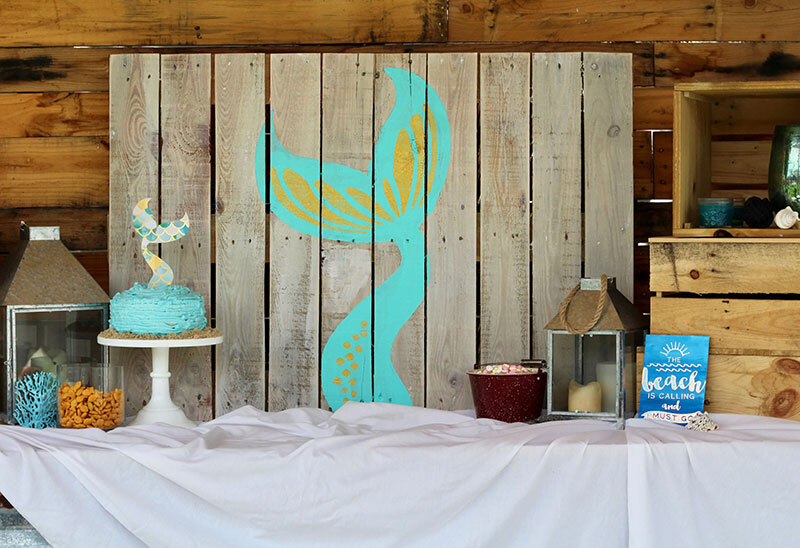 I fell in love with the layered mermaid tail in Cricut Design Space in May when I hosted our pirate party. 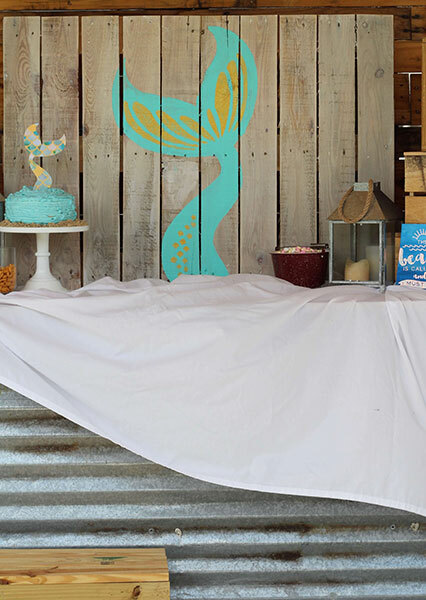 I knew when I planned our special mermaid day I wanted to make a giant mermaid tail backdrop. 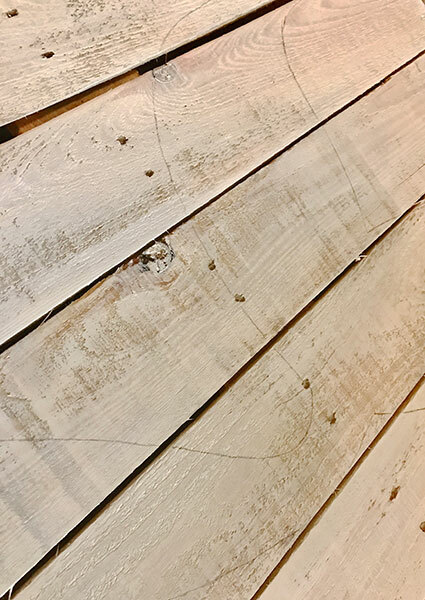 The first thing I did was prep a pallet for paint. I pressure cleaned it, waited for it to dry, and then sanded it. 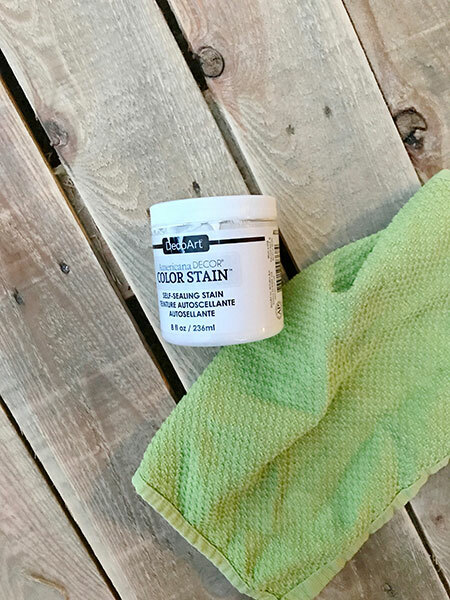 Once it dried, I used a rag to whitewash the pallet with DecoArt Color Stain. 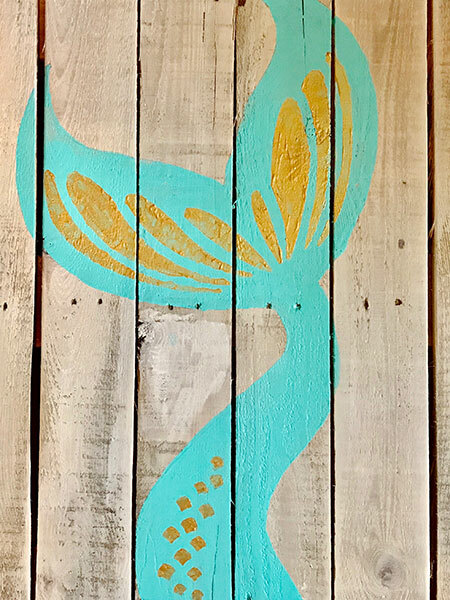 While I waited for the Color Stain to dry, I worked on the mermaid tail in Design Space. I used the Mermaid Tail cut from the Mermaid Party Cartridge. I wanted the tail to be about 30” tall and half as wide for the pallet. But, clearly, that would be impossible to cut as one piece in DS. Next, I added square shapes to my image and sliced it into pieces that could be cut on a 12x12 or 12x24 cutting mat. Once I had the design sliced into sections, I sent it to the mats to cut. I used the tail as a stencil in two different ways. 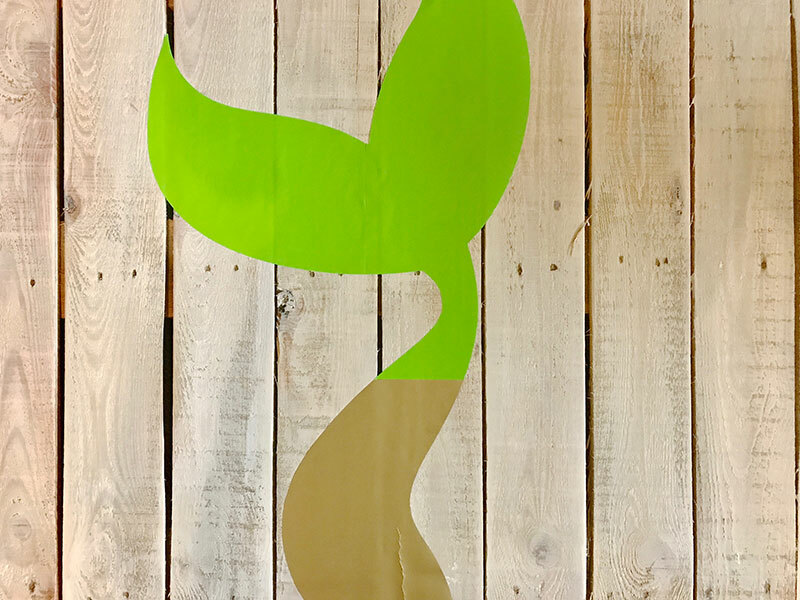 I placed the solid mermaid tail on the pallet and pieced it together, carefully matching cut lines. I used two colors of vinyl so you could see this better. Once the stencil was set, I traced around it with a pencil. Paint the primary color on the tail and let it dry. Once the primary color of the tail was dry, I applied the next layer of the vinyl stencil. 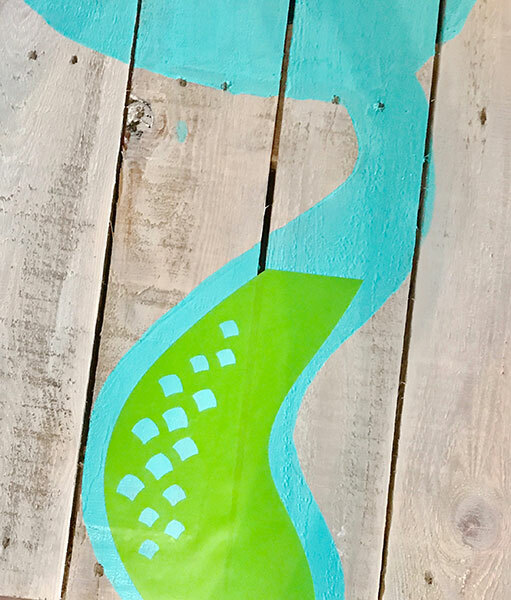 Instead of tracing the tail this time, I painted inside the stencil. When I finished painting inside the vinyl stencil, I carefully removed it. 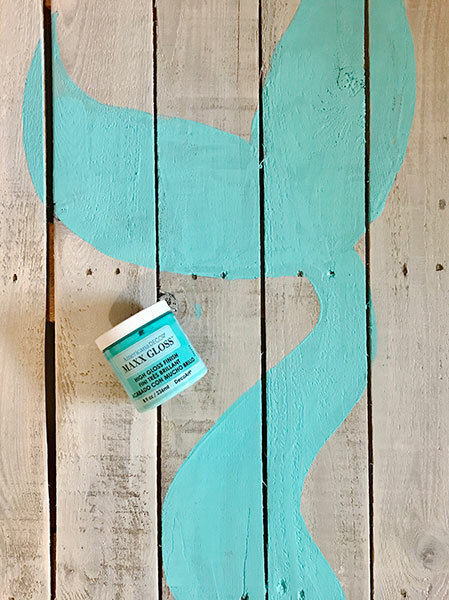 My beautiful mermaid backdrop was ready to use, and my niece loved it! Be sure to follow my blog, Everyday Party Magazine, for more party tips, inspiration, and more! Have you done a large scale project before? Tell us about it in the comments below! Oh boy, another project I can understand and actually make! where will I find the time? All kinds of thoughts running through my mind. Large Disney Mickey and Minnie, a large Santa on my front door for Christmas, HUGE army men on a sign for my daughter returning home, after a tour in Kuwait. I need time and supplies and I’ll be on my way ! Cricut, please tell me where I can find the vinyl pattern for the round table that is in your new Cricut Maker SEE IT IN ACTION ad video. I absolutely love it and would love to make it for my breakfast table that is in need of a 24 year redo update. It seems that the design was broken up into eight pie pieces. Can you please let me know where I can find the pattern & maybe a how to do instructions as a base for my creating this image for my breakfast table.You can send it to my email. I would also like to know! Thanks! 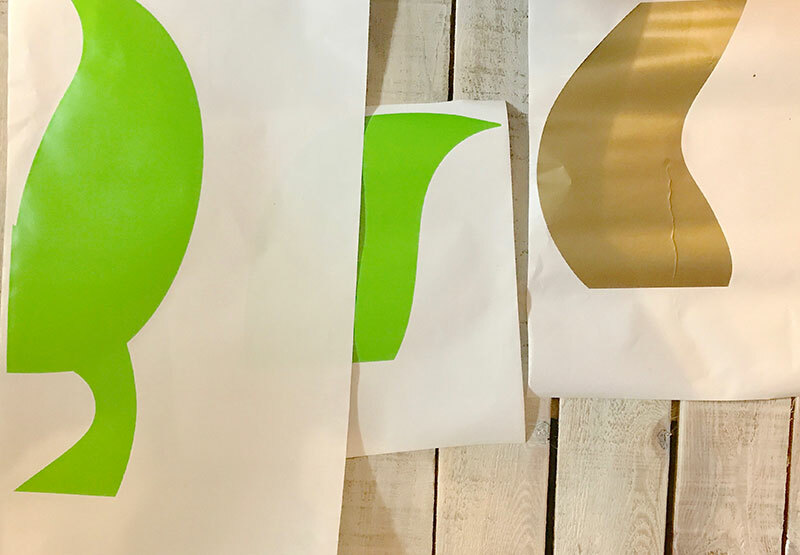 We have a Cricut Explore Air and have not been able to print anything larger than about 8″ x 6″. I see in your post that you are cutting using the full 12×12 and 12×24 mats. Am I doing something wrong or is that the difference between the Cricut Explore Air 2? For Print then Cut, it is limited to an 8.75″ x 6.25″ area. Otherwise, you may need to change the mat size for your project. Leave a small border (about .5″ around the edge of your design) See the article here for help. The Material Size drop down menu has shifted to be right next to the project copies on the left. I’m having a hard time finding this specific image. I’ve search mermaid party in design space and no cartridges are found. I’m using design space on iPad so I’m not sure if that makes a difference. Did you switch to cartridge before doing the search? Here is a link to the Mermaid Party cartridge for you. Could you please tell me where I can find the vinyl pattern for the round table that is in your Cricut Maker SEE IT IN ACTION ad video. I have a smaller table top that I would like to do. 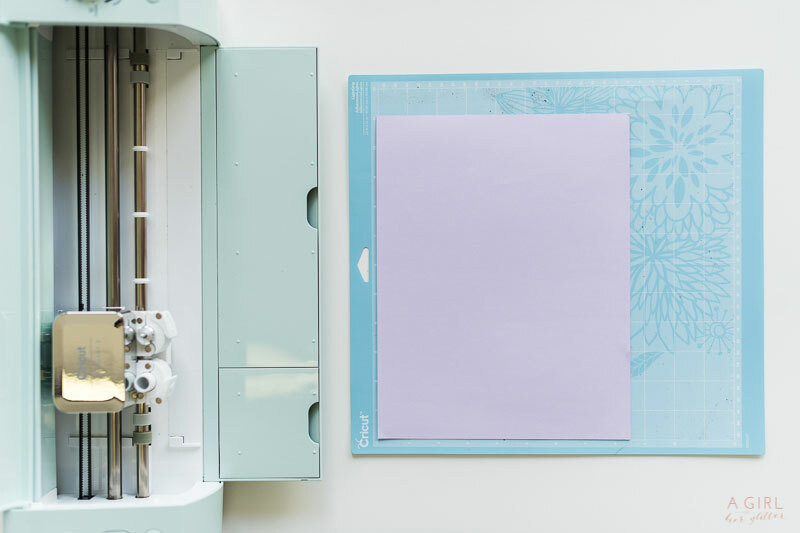 Does cricut have plans to make large format machine for doing bigger jobs? I would be really interested. I couldn’t agree with you more! I love what Cricut can do, but need a large format printer for most of my designs!